my mom was here visiting for the last week and we had a lunch reservation at red rooster on friday. my mom chose the mixed greens as starter, I selected the sweet potato carrot soup. very delicate taste, just the perfect spiciness. as our main courses, I picked one of their signature dishes, helga’s meatballs which are inspired by chef marcus samuelson’s grandmother – so the press says. the meatballs were good – I am very picky, so don’t get me wrong. I loved the lingonberry sauce with it, the cabbage was a bit overcooked. I loved, loved, loved the mashed potatoes though. 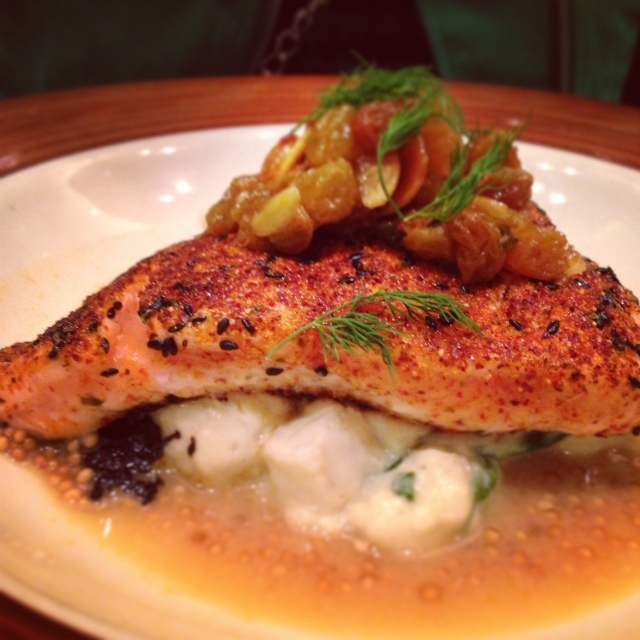 mom went for the tandoori salmon on cauliflower mash. sooo good. 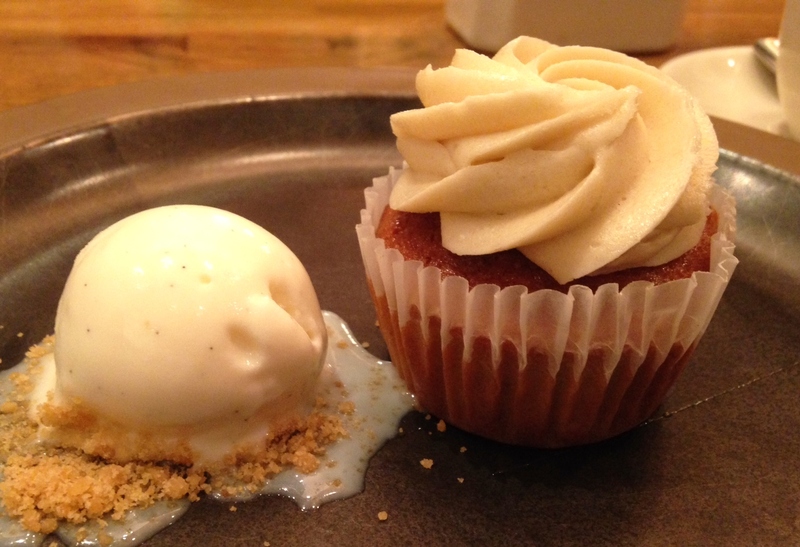 dessert was a little banana cupcake with ice cream. nice flavor mix, the ice cream was bedded on caramelized hazelnut flakes.